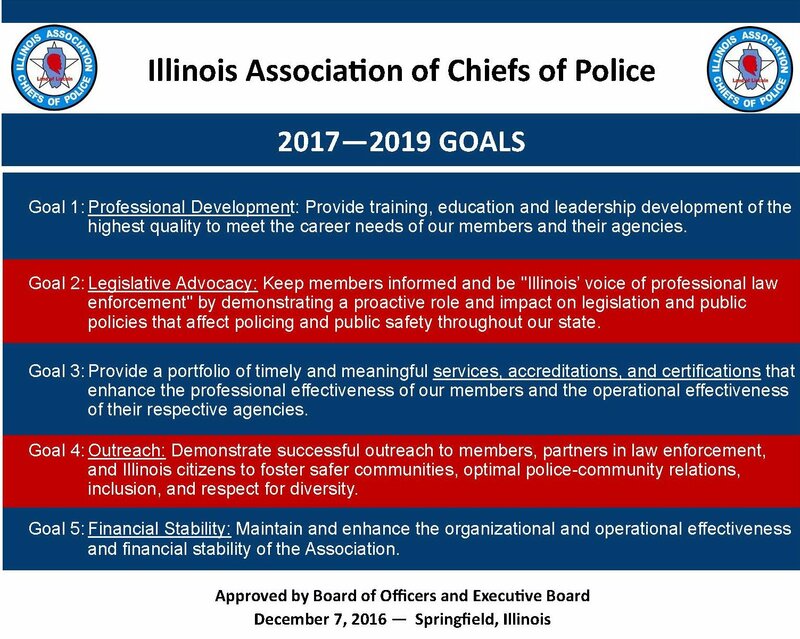 We aim to earn and maintain the unqualified respect of the people our members serve and protect, and to be respected leaders in our communities, our state, our nation, and internationally. We promote the professional and personal development of our members through innovative services, training, and camaraderie. As developed through strategic plan sessions, 1997.